It may surprise some, but many small businesses new to inbound marketing are unaware that you can get some free advertising on Google through Google Places. And because Google is always looking to increase the value of its local search results -- as well as its Google Maps application -- the search engine giant has a simple way for you to provide them with that valuable information about your business, which it infuses it into its search engine results. The benefit? Basically, a way to advertise your business on Google for free. And honestly, who doesn't love some free advertising? This not only helps your business get found through searches; it can also help you get more traffic, leads, and customers. Consider this example: When you search for "hotels, Boston," the Boston Harbor Hotel ranks #1 in the Google Places search results. And to the right of the result, you can see all the information that the Boston Harbor Hotel has placed in its Google Places listing. They've included reviews, hotel information, and pictures of the hotel and its surrounding area. Not too shabby a setup, is it? Are you ready to get some free advertising on Google? Let's get started. Your Google Places account will be connected to your Google account. Here, you can enter the country and phone number. Keep in mind that you will need to connect this to a valid phone number, as it's important to have your business’ number in your Google Places listing. When people search for you, you'll want them to easily be able to call you, especially on mobile devices. Once you input your phone number and country, Google will search to see if your listing already exists. Keep in mind that you can edit a current listing at any time to display new information about your business. If you don't yet have a listing, you can also create one from scratch. 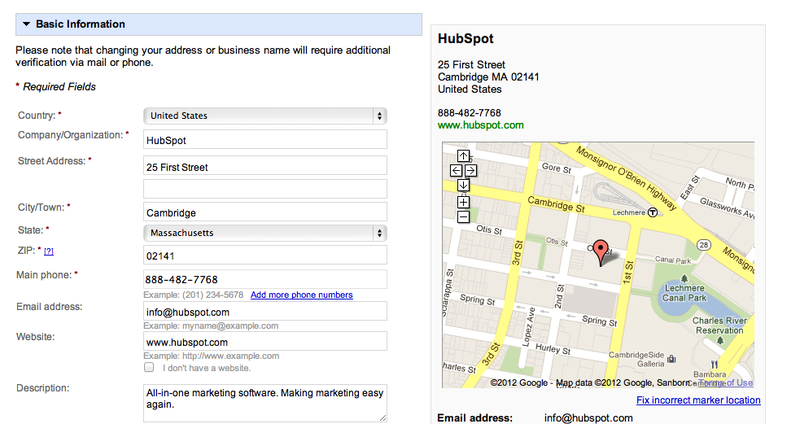 If Google Places doesn’t identify any business information online for you, you can manually add it. 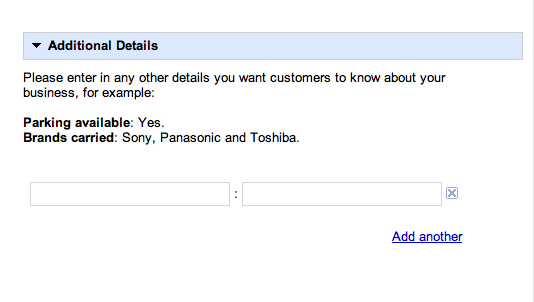 After filling out your phone number, Google will prompt you to input more information. As you complete your information, Google will automatically generate what the Places advertisement will look like on the right, including the map image. Make sure you're satisfied with the appearance of your listing. Keep the description short and to the point, capturing the main concept of your business and product or service. You can add anything you want, including a coupon link for your business to attract more customers to your website. Making sure you include a phone number and email address enables people who are interested in learning more about you to contact. The volume of people who will see this listing can be large, so make sure your contact information is both up to date and checked regularly for people inquiring about your business. You can also set up whether or not your business provides services in a certain area or areas. 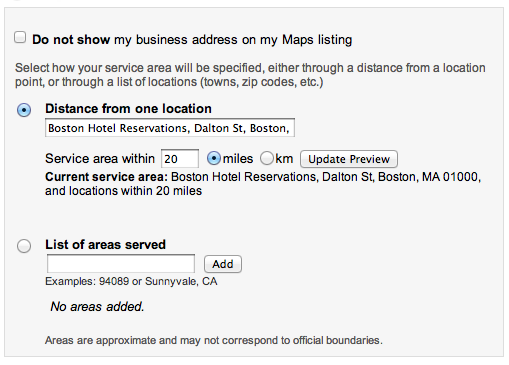 This will allow your business to appear on map listings. 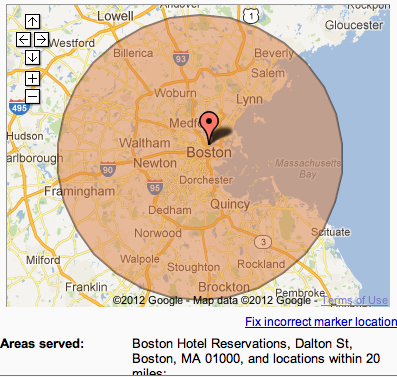 When people search for a business similar to your listing, your business will appear on a map within a specified range. If you prefer to serve only certain cities or areas within a city, you can choose the second option and pick the areas you serve. This option can be helpful for companies that are only able to serve a certain area, such as a pizza delivery company, or in a very niche market, like a jet ski company on a beach. 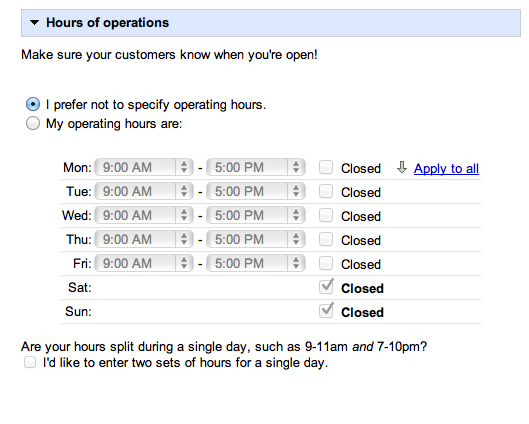 Another aspect of an effective Google Places advertisement is the hours your business operates. Often, when people are searching for your business, they're looking to see when you're open, and Google allows you to include this directly in your listing. If you sell products or services directly to your customers, either online or in-store, you have the option to let customers know ahead of time what forms of payment you accept. Specify which payment options apply in this step. Do you have a video explaining what your business is all about? Maybe something people often associate with your brand name? Add it to your Google Place listing to make your offer even more eye-catching. People are much quicker to respond to visual content than text. In fact, according to 3M Corporation and Zabisco, 90% of information transmitted to the brain is visual, and visuals are processed 60,000X faster in the brain than text. With this in mind, marketers can benefit from visuals to attract more eyes to their listing and, thus, more traffic to their website. You can include other information that may be vitally important to potential customers at your place of business or at your online retail site at the end of the listing set-up process. This information can range from details about the location if it's difficult to find, to information about the products and services your business provides. Use this as an opportunity to tell potential customers why your business is worth a second look. For example, if you're a cell phone vendor, and you have a surplus of the latest version of the iPhone when all other local businesses are sold out, let people know! You might just get more business than you think. 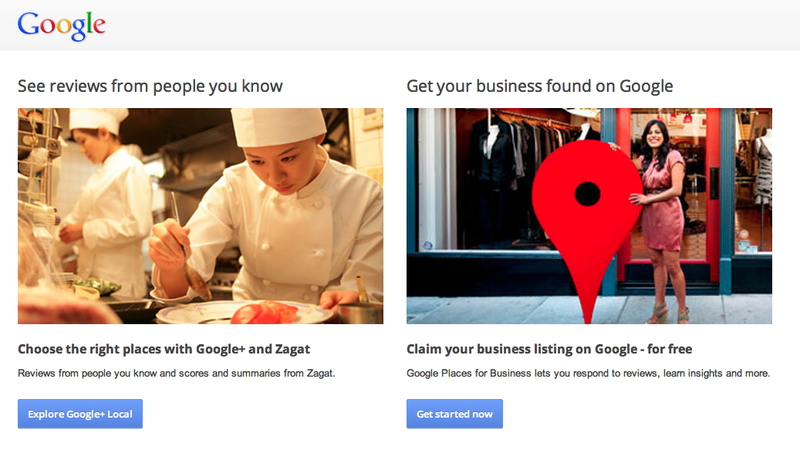 Finally, the first time you create a Google Places listing, you will need to validate your location. This helps Google avoid fake listings and advertisements. Google will send you a postcard with verification information and next steps on it. Although it may seem like a pain to wait 2-3 weeks before your listing can get verified and become live, it saves us all in the long run from a plethora of spam listings when we use Google Search to find places in the future. Google Places allows marketers to give customers a good user experience, by giving as much information as possible in the first place the majority of people look: Google Search. Good luck!